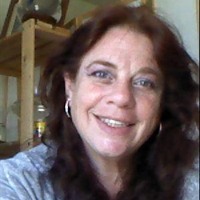 Below is my last updated profile previous to publishing are about to read This was around Thanksgiving 2017. I have just been working the the last year and working on getting my head straight. I was getting my 2019 goals in place and suddenly something fell in my lap. Something is happening in my own industry. And it's happening now. We are going to disrupt the disruptor. 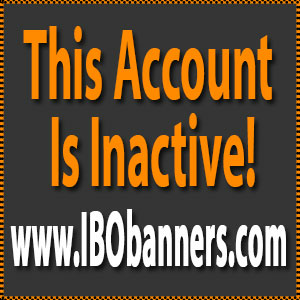 And I d like to invite you all to go to my link and sign up for a free riders account. We will keep you informed as to when our drivers are ready and launching in your area. I have been struggling unemployed for 3 and have been learning about earning money on line. What I want to do costs money to set up and get going. I raised my kids driving a taxi. I drove a for a VIP Towncar service. I I ran my own Livery Car service. I was the 3rd woman driver ever to drive in the city of Phoenix Az. I was the first woman to ever drive nights. I love it and make plenty of money to have everything I need and to invest in other things. I drove for Lyft for the 1st time the From Thursday Night thru Sunday night, November 9th thru the 12th. I worked 45.5 hours. I have 3 days off each week. And plenty of time to work on my online businesses. I am more motivated because money is coming in. And I have money to work with to advertise. I have been an online marketer for 3 years now. I did surveys. I tried finding data entry jobs and phone work. I have been involved and exposed to several programs designed for home based business seekers in the area of mlms, affiliate marketing and revenue shares. I have also been involved with mlms off the internet for over 25 years. After 3 years of trying to figure it out , knowing what I know of 25 plus years in mlms I am following the business model of providing value education and information under my own brand. Along my journey I got real clear I wanted to develop a business that was strictly my own and that I was the CEO, as opposed to being a member of another company. Because I did not have money to work with to start my businesses I can help others in that boat as well as those of you that may have some resources and/or already have had your own experiences and want to get to the next level. I have gotten real clear I want my business to be about what I have to offer , not some program. I want to be part of the shift on this planet. My focused business is Raven's Last Chance Rescue. We are a National Network for Lost and Found Pets and Pets for Adoption. I am a You Tube Creator, A blogger and An Affiliate Marketer. And I am involved with other programs along the way. I am a member of Wealthy Affiliate Online University the foremost online business training and web hosting platform in the world. I have built 4 websites here during the time I was not really focused. I was involved in animal rescue. I have 1 site that showcases my rescue and i am developing into a national directory of dog , cat and horse rescues as well as veterinary resources. I still have 2 rescued dogs and 6 recued cats as my roomates and this site is a source of income to support these animals. I also have a site that I am developing into a pet supply store. I have built a site where i publish reviews on online programs I recommend, and a site strictly designed to use for revenue share advertising. Wealthy Affiliate is the platform I use for my hosting and where I learned website design and blogging. No matter what type of online business you do, if you want to be successful you need a website that showcases you as an authority in your marketplace. If you are already successful an authority website/blog is the way to kick it up a notch. Please see my Ibo Press Releases or My Website for reviews on Wealthy Affiliate and other programs I use and/or recommend as income streams or ways to promote your business. Or you can go directly to my sign up links by clicking any of the pretty banners below. Up Grade to One of Power Lead Systems Amazing Programs For The Best Business Building Systems In The Industry ! Promote Your Top 5 Programs and Much Much More ! Create A Beautiful Page to Showcase Your Banners For up To 20 Programs And More ! Right Here At IBOToolbox !